A few years ago, we visited a place called I Love Sushi and it turned out to be far better than we expected. With a name like "I Love Sushi", it just didn't scream out authenticity, let alone great food. 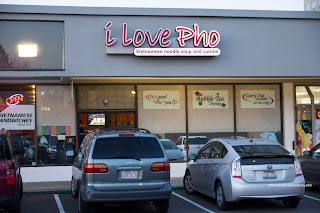 Therefore, we were thinking much the same with "I Love Pho". Yah, not the most original name, but I guess a cut above the regular numbering system of Pho <insert number here>. Although I really do think What the Pho? and Pho Shizzle to be absolutely fantastic names. The real reason we were looking for Pho in Bellevue was mostly for the kiddies. 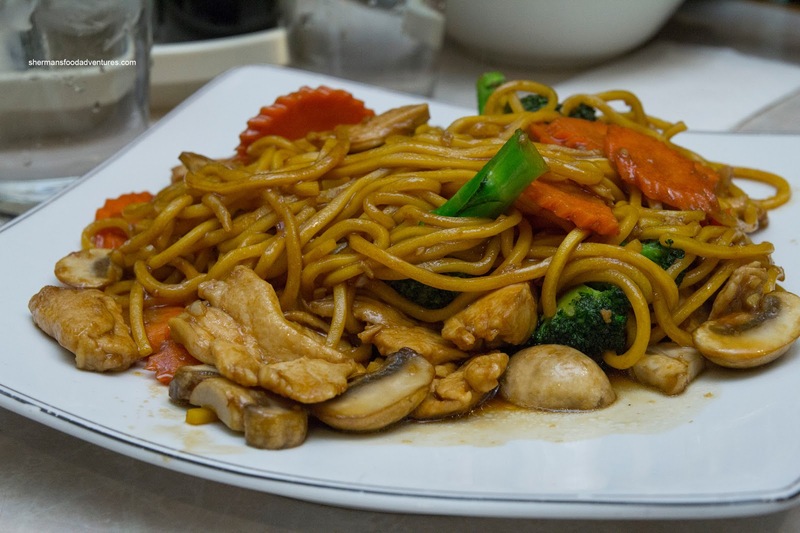 For some reason or another, they would much prefer some noodles over a cheeseburger. 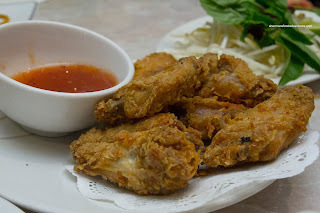 One thing that has become a recent revelation for them is Fried Chicken Wings, so we got an order to start. These were pretty large and fried up crispy. Inside, the meat was moist and juicy. For the kiddies, they shared an order of the Saigon Noodles. Personally, it looked more like something you'd find at a Mongolian grill than anything else. Yet, it was decent with predominantly sweet flavour. 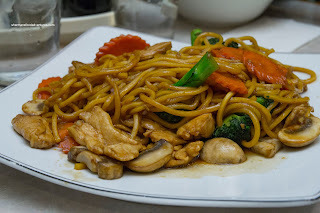 The noodles were toothsome while the chicken was tender and veggies crunchy. For ourselves, we had the Beef Yellow Curry which was very mild despite asking for spicy. Furthermore, the sauce was thin and mostly sweet. As for the beef, it was certainly tender, but far too overprocessed with baking soda. This was a fairly large portion that came with an insufficient amount of rice. Of course we couldn't forget about a bowl of Pho Dac Biet (since the place is named I Love Pho). Again, the dominant flavour was of sweetness (they like their sugar here) while the broth as a whole was rather light, but clean. The meats were sliced thin and tender. 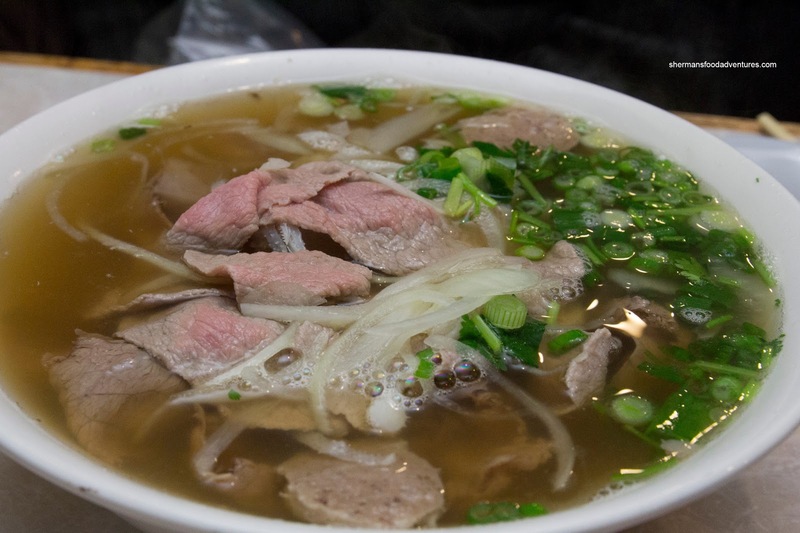 An acceptable bowl of Pho. Well, I Love Pho did the job (especially since we were heading to Factoria which was across the street), but we were more akin to "I had acceptable Pho" than anything else. I wonder if I'll ever make it to Canada to try their Vietnamese food. We'll see! @Victoria Yup, always down in Seattle! :) Sure, that sounds like a good suggestion. Will try! 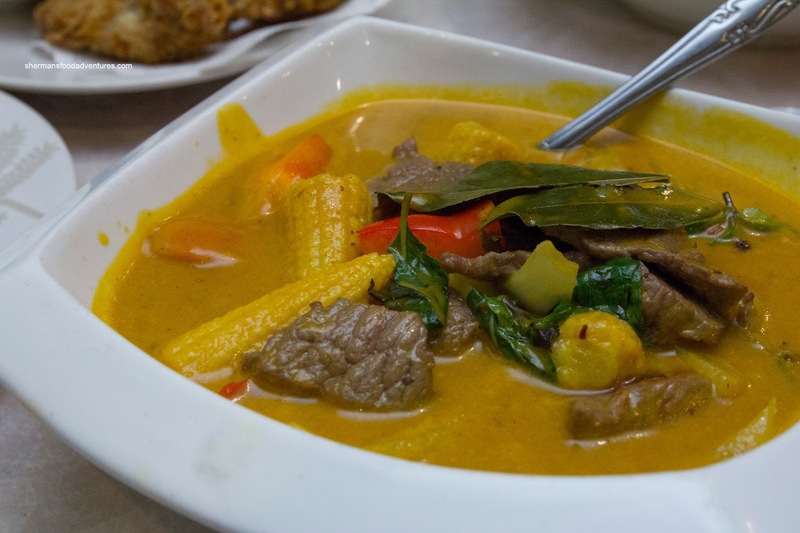 You should, the Vietnamese food here is pretty good too!